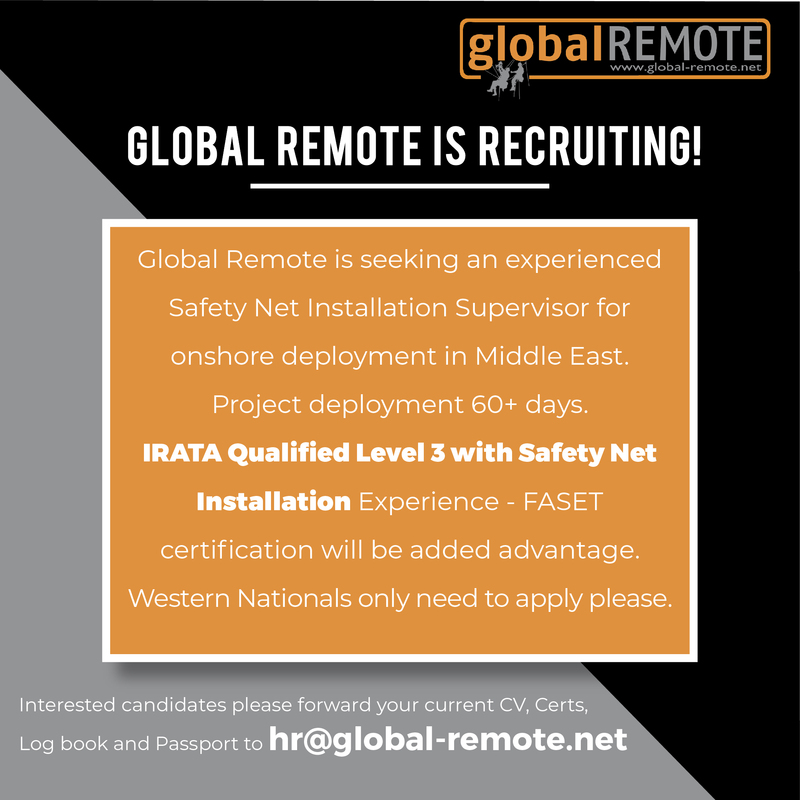 Global Remote is seeking an experienced Safety Net Installation Supervisor for onshore deployment in Middle East. 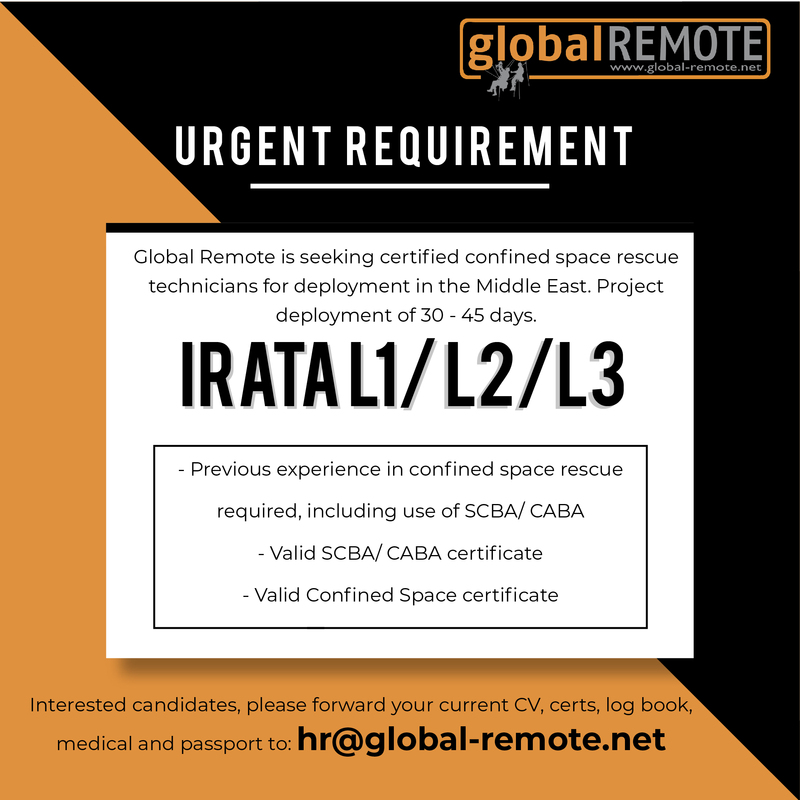 Project deployment 60+ days. 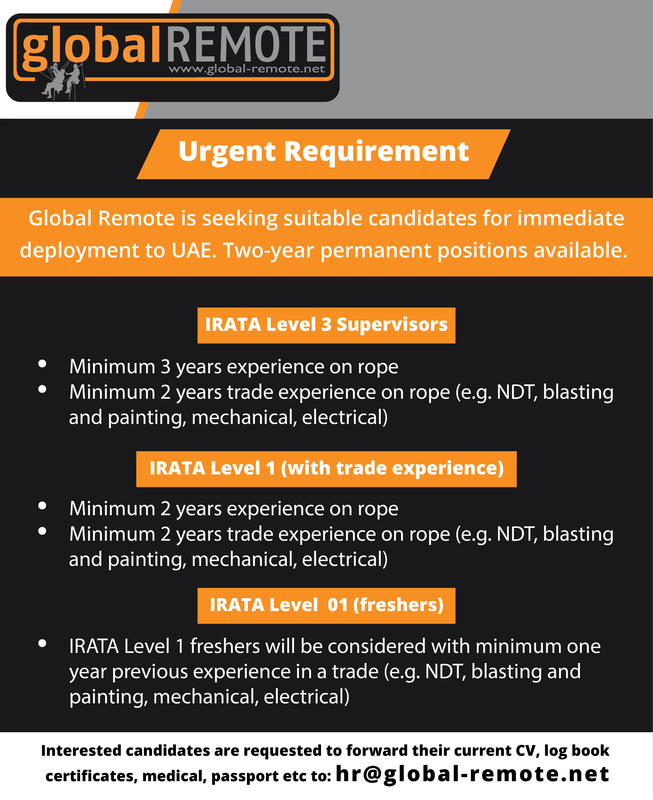 IRATA Qualified Level 3 with Safety Net Installation Experience – FASET certification will be added advantage.